The newly installed solar street lamp can not normally work within half a year.Repairmen wondered why the solar lamp had such a short lifespan and whether it was broken. I think the solar lamp can not normally work, you can analyze the reasons from the following aspects, and then find the corresponding solutions. 1. What's the weather during these days? Is it continuous rain or long cloudy days? If so, the solar panel just does not change electricity, You don’t worry,when the weather turn to sunning day,the lamp can bring lights. 2. Whether the solar controller is working normally. We mainly look at the indicator light of the solar controller, If the indicator light failure,you need to change new solar light controller . 3. You can check the lighting time of the setting. We should set reasonable working time according to the power of the solar panel, the capacity of the battery and the power of the lamp. Some customer’s solar system configuration is very small, but the working time set very long, so that you lamp of course can not normally work,because you controller protected of low voltage. 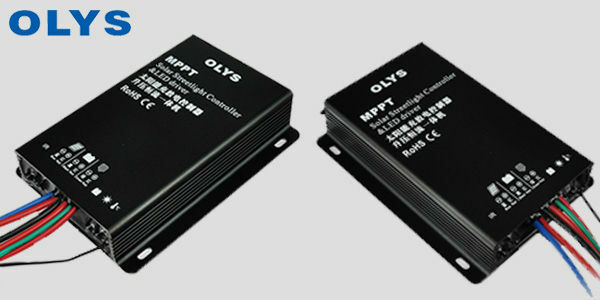 If you have in terests for solar charge and have any concern , please send mail toTony:sale3@olys-digital.com.